It's still a couple of months away, but we honestly can't stop talking about Prince Harry and Meghan Markle's pending nuptials in the Who What Wear office. It's the biggest royal wedding since the Duke and Duchess of Cambridge tied the knot, you can see why we might be a little bit excited. While Kate's Alexander McQueen lace dress sustained us for some time on the fashion front, her wedding was nearly seven years ago, so you can forgive us for wanting to imagine exactly what Meghan will be wearing too. But that's not the only detail we're desperate to find out about—there are also the guests, the royal traditions they'll be following and, of course, what Kate will be wearing. Keep scrolling for our 101 on the royal wedding of 2018. Mark it in your diaries: The Royal wedding is taking place on Saturday, May 19, 2018, at Windsor Castle's St. George's Chapel. Apparently it's a place that both Harry and Meghan love, which is why they've chosen it. Let's be honest—this has the potential to be super Hollywood. Thanks to Meghan staring in Suits, not only might we see the crew and cast attending, there may be other A-listers coming as well. Other rumours include the Obamas attending, as both Harry and William have a great relationship with the former U.S. president and first lady. In addition to the above, Prince Harry and Meghan have proved once again that they're down-to-earth, by inviting 2640 members of the public into the grounds of Windsor Castle to watch the arrivals of the bride and groom and their wedding guests. This group is set to be made up of school pupils, charity workers, and those who have helped to serve their communities. While Kate and Wills don't often hold hands in public, Harry and Meghan do. This is nothing to do with protocol but rather a preference for each couple. That said, it's not often you see a royal couple being so tactile in public. So far, not very traditional. However, for the wedding, it could be full of traditions. One, for example, is that the groom will wear a military outfit. Others include the fact that the royal family will sit on the right in the church and won't wear wedding bands. Oh, and they have two cakes. For that alone, we'd love an invite. In an interview with Glamour in March 2016 about the wedding dress for Rachel Zane, her character in Suits, the soon-to-be royal was asked what her dream wedding dress is. "I have the luxury of wearing beautiful pieces of clothing every day for work, so my personal style—wedding or not—is very pared down and relaxed," she revealed. "Classic and simple is the name of the game, perhaps with a modern twist. I personally prefer wedding dresses that are whimsical or subtly romantic. Delphine Manivet and Christos Costarellos are faves of mine for their uniqueness and beauty. And I will always be a fan of Ellie Saab. J. Mendel is spectacular as well, especially for more structural designs." Will it be Emilia Wickstead (left), Jenny Packham (centre), or Erdem? However, the current rumoured front-runners include British designers Erdem, Jenny Packham and Emilia Wickstead, as well as small chance that it could be Burberry. 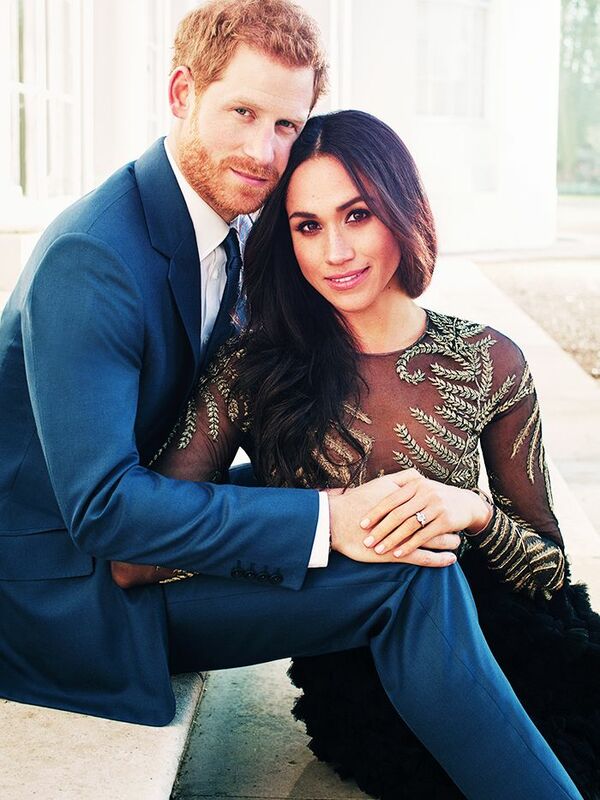 Then again, she may go for Ralph & Russo as she wore the designer for the above engagement shoot pictures. Find out what kind of dress the Who What Wear UK team predicts Meghan will wear, and make sure you keep coming back here to check up on more royal wedding updates. Next up, eight times Kate Middleton actually dressed like a fashion editor.